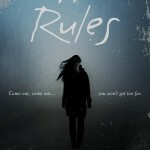 THE RULES (written with my frequent partner, Debbie Viguie) is a YA thriller homage to Wes Craven, father of Scream. Robin Brissett finally gets invited to one of August’s legendary scavenger hunts…and the hunt is on. Clues mount up, but so do bodies…who is killing the players, and how can Robin cheat the Reaper? 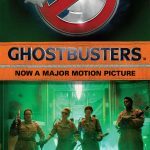 GHOSTBUSTERS: THE OFFICIAL MOVIE NOVELIZATION tells the story of the four new Ghostbusters in the Neighborhood. With a couple added scenes! This entry was posted on Monday, June 27th, 2016 at 4:07 pm. You can follow any responses to this entry through the RSS 2.0 feed. Both comments and pings are currently closed.